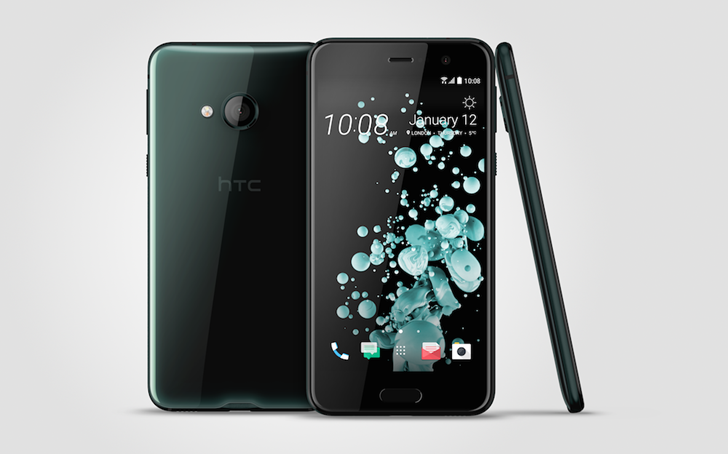 HTC U Ultra & U Play Officially Unveiled - Both Feature Unique All-Glass Design - Playfuldroid! Taiwanese smartphone maker HTC has taken the veil off its lastest smartphones which it hopes will help revive the ailing brand. 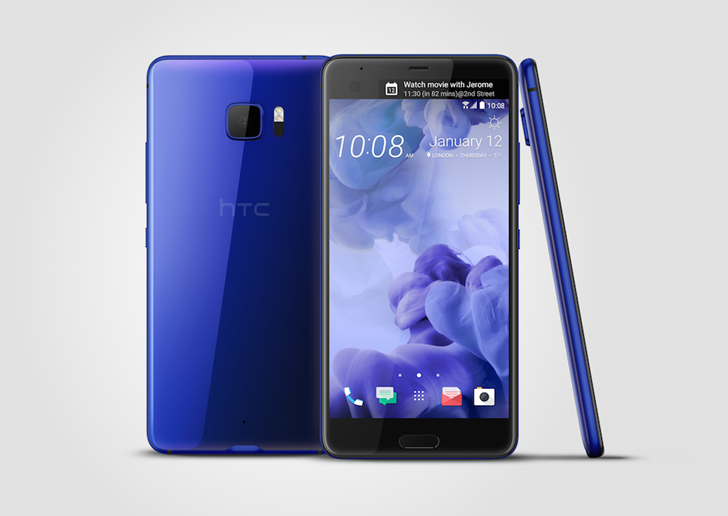 The two smartphones launched comprise one in the flagship category dubbed HTC U Ultra and another mid-budget smartphone christened HTC U Play. The HTC U Ultra comes with a spectacular design that resembles nothing HTC has released in the past as it uses a design architecture which sort of mirrors the Samsung Galaxy. The device doesn’t feature an aluminum fuselage, instead, it comes with an all glass cover both at the front and behind. The sides are covered by aluminum. Another unique feature of the U Ultra is that it features a primary and secondary display up front, similar to the LG V20’s. The flagship device sports a 5.7-inch LCD display with a resolution of 2560 x 1440pixels for its primary display, with the secondary display clutching a 2 inches screen and 160 x 1040 pixels. The U Ultra is powered by a powerful Snapdragon 821 processor which is backed by 4GB of RAM, and there is 64GB of expandable storage inside. Keeping the lights on is a 3000mAh battery. 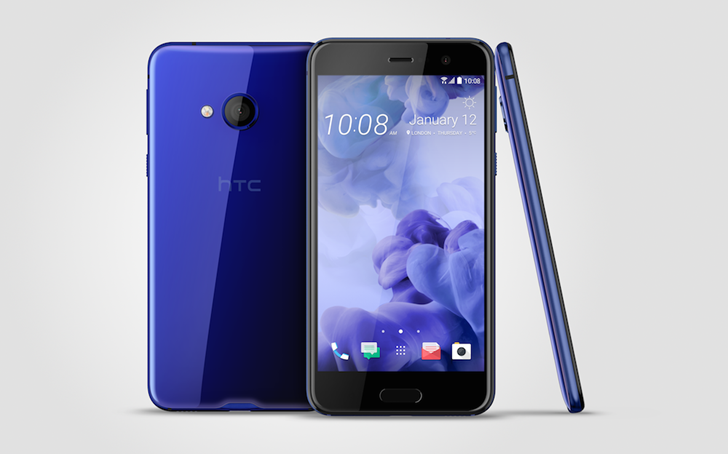 On the camera aspect, the HTC U Ultra features a 12MP Ultrapixel sensor with optical image stabilization (OIS) and a laser focus, as well as an F/1.8 aperture. Up front, there is a conventional 16MP sensor for selfies. In addition, the U Ultra packs a front fingerprint sensor embedded under the home button. The sleek flagship forfeits the 3.5mm jack in place of the USB Type-C interface which it features. HTC is also trying to kick start its own AI assistant program that will be integrated with the phone’s secondary display, which would allow users interact with the phone without powering up the primary screen. The phone runs on Android 7.0 Nougat and the OS will have an adaptive companion and voice control app built into it for smart assistance. There will also be usual notification display on the secondary screen without lighting up the primary display. 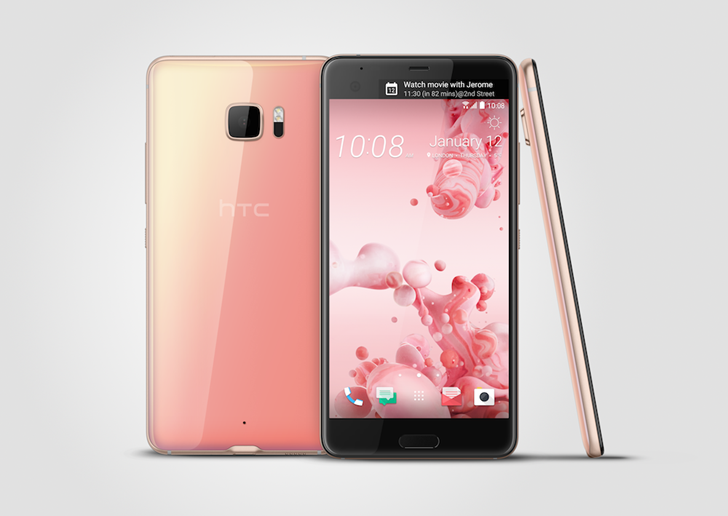 As for the price, the HTC U Ultra carries a hefty $749 price tag for the 64GB storage version and it comes in black, white and pink variants. The device is available for pre-order on HTC.com and will ship to the US and other markets in March, but it will hit Taiwan, HTC’s base later this month. In addition, HTC also hinted that a Special edition of the phone with a super-strong sapphire front glass panel and 128GB of storage will be coming our way sometime later. The U Play can be said to be a trimmed down version of the U Ultra and it also carries a far cheaper price tag. The design is similar to the U Ultra except that the camera design is different. There is also no secondary display on this one. 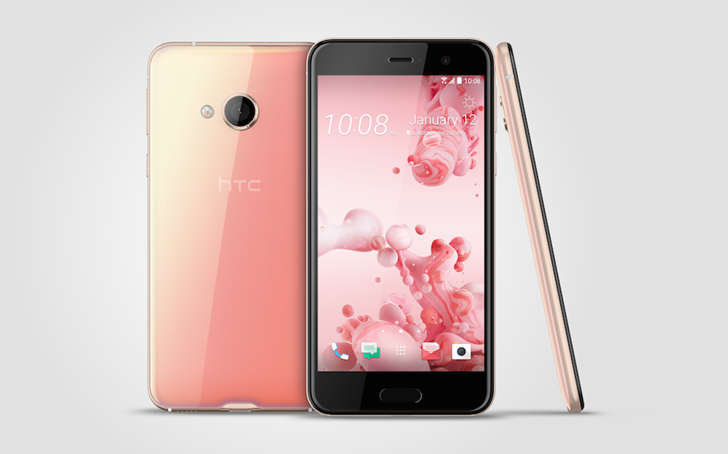 Specs wise, the HTC U Play features a 5.2-inch 1080p LCD screen. The device uses a MediaTek Helio P10 chip, which might come in as a disappointment to some. There are two memory versions, one with 3GB + 32GB storage and another version with 4GB RAM + 64GB storage. Both versions are expandable via microSD. 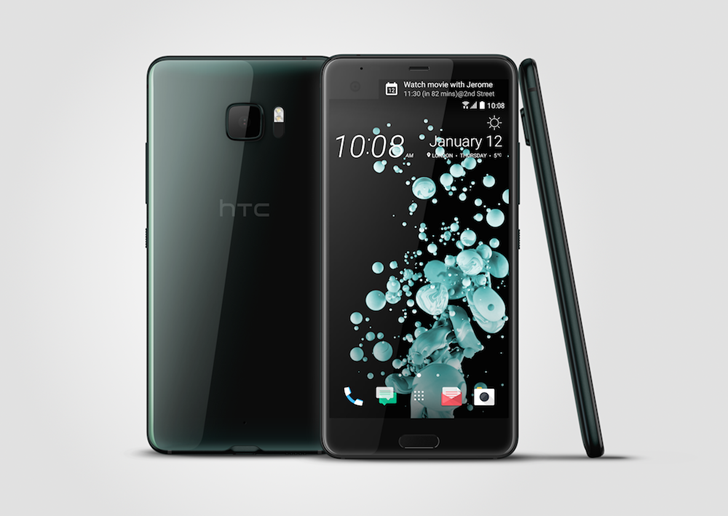 The HTC U Play packs a 16MP sensor on the main camera with f/2.0 aperture and LED flash. The front-facing camera also uses the same 16MP sensor. There is also an absence of the 3.5mm audio jack on the U Play with the USB Type-C port taking its place instead. The mid-ranger also boots Android 7.0 Nougat out-of-the-box and keeping the lights on is a 2500mAh battery. If you are wondering what the price would come in at, you’d have to wait a while longer because HTC did not reveal the U Play’s price details. The only information they gave is that the smartphone is scheduled for “global markets” in early 2017 but with the category of specs it features, it is expected to fall within the range of $400-500.